Many Englewood drivers are seeing the benefits of leasing a vehicle. After all, you can receive a low monthly payment, and you can upgrade your vehicle every few years without having to dish out a lot of money out of pocket. Plus, you don’t have to worry about the car losing value, which makes it a good investment. For drivers interested in the Jaguar F-PACE, Jaguar Paramus provides great Jaguar F-PACE lease sales, which makes bringing this model home to Saddle River even more affordable. At Jaguar Paramus, we want to ensure your next vehicle decision is a smart one, and we encourage Bergen drivers to take advantage of our lease sales. With options like no money down to low monthly payments, there’s a Jaguar F-PACE lease sales that makes sense for you. And for a vehicle that includes spacious seating for your passengers as well as other features that outshine the competition, you’ll be making a smart move by bringing this Jaguar model home today. 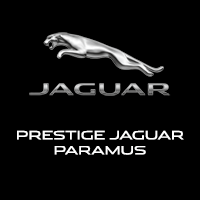 In order to snag a great F-PACE lease sale in Mahwah, visit Jaguar Paramus today. Our dealership is located at 405 NJ-17 in Paramus, NJ, or feel free to contact us online or by calling 201-977-2197 and speaking to a trusted member of our staff.